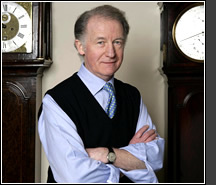 Michael Sim has been dealing in Georgian furniture and artefacts from his shop in Chislehurst since 1983. A former Director of the Royal Society of Chemistry, Michael has a particular interest in the scientific aspects of restoration. During his career, Michael has made some important finds, most notably the rediscovery of one of the greatest masterpieces of Italian furniture by Pietro Piffetti, which was subsequently sold to the Victoria & Albert Museum (read about the story here).Michael has also dealt extensively with a number of other museums and galleries, including the National Gallery of Scotland and the R.I.B.A Drawings Collection. We invite you to browse through our carefully researched stock using the navigation bar above. The website will be regularly updated and will include a monthly article on our most recent acquisitions.